Blue Ocean Film and Television Academy (BOFTA) offers Diploma courses in Film Technology (DFT). Each course is a 12 months study with two terms of six months each. BOFTA's DFT courses consists of 10 papers (including practical tests), a mid-year project and various workshops and assignments. 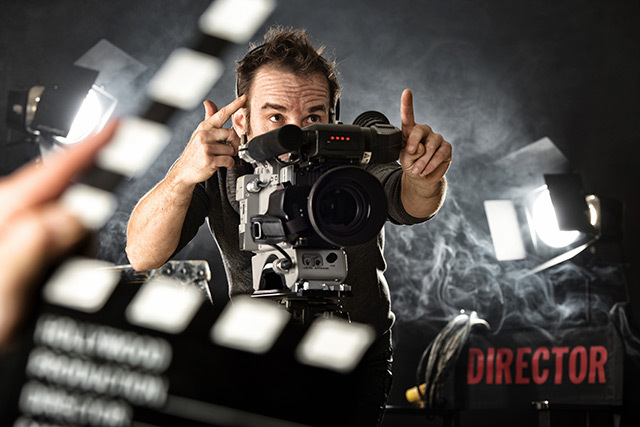 The Masters from Film industry will conduct all the DFT courses. The course materials are all given free to the students. BOFTA's Screenplay Writing & Direction course is a hands-on learning program, facilitated by the Masters of Screenplay writing and Direction, designed to put students in the screenplay writer or director's chair on completion of the course. Students stepping out of the Academy will be armed with skills in screenplay writing, filmmaking, and experience in production and equipped with a repertoire of their own short films and tele-films. BOFTA's Screenplay Writing & Direction course is for students who are passionate about filmmaking and for those who can give 100% commitment to a focused and demanding curriculum. The short films made by the students during the course will be showcased at the Academy screenings to an audience comprising eminent people from the film industry, friends and family. Students will also be exposed to various short film competitions and film festivals. Led by Master Director Mahendran for direction with a team of well-known filmmakers, the course will enable the students to learn directly from the experts, how they wrote their screenplays and translated the same into a successful film on screen. The Course fee varies for each course and do contact our Admission Counselor at 90030 78000 or 90030 79000 for further information on the same. The Acting for Films course involves intensive training and will be demanding in terms of time and commitment from students. Apart from the scheduled classes, this course requires students to attend random sessions early morning or late nights through the week and weekends. A few of the exhaustive list of sessions include stage-play, street-play, rehearsals, voice practice and test shoots. This course will specifically follow the 'Gurukulam' methodology of Master and Disciple. To attain knowledge, the student must be receptive to the Master and the knowledge he imparts. Every student will get an opportunity to practice all that they have learnt through test shoots. Students will also get an opportunity to act in short films and feature films produced by the students of filmmaking and cinematography departments of the Academy. The media world has largely moved from analog to digital cinematography and the teaching at BOFTA will go along with this trend. Master Cinematographers from the film industry train the students in digital cinematography using latest cameras and equipment, meeting International Cinematography course standards at BOFTA. This one-year course is designed to give a professional hands-on training to students to develop both the creative vision and the technical mastery necessary for a successful career in Cinematography. 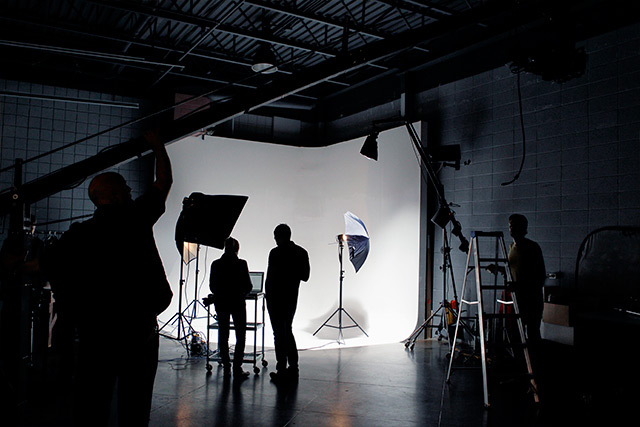 Students undergo a rigorous program of classroom study, self-managed projects and Masters-led cinematography workshops. The students gain a good working knowledge of the full range of digital formats and the wide range of camera systems used by cinematographers today. Students will be able to effectively make use of the visual tools of cinema to tell good stories on screen as a fully trained Cinematographer, by the end of the course at BOFTA. It is often said that, 'Films are finalized at two tables; one, the screenplay writing table and the other, the editor's table'. 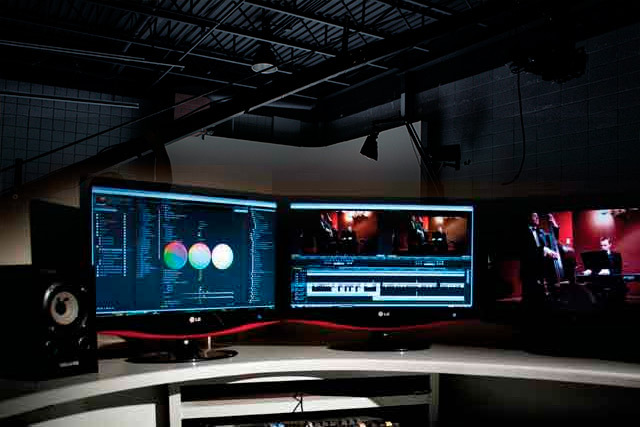 Editing is as important as writing and filming because it is the editor who finally ensures that the filmmaker's vision is effectively translated to the 'movie' that is presented to the audience. In this one-year course, students study the art and skill of Digital Film Editing and learn how to apply both technical skills and good storytelling to bring effectively stories on screen. The course is designed and conducted by multiple National Awards winning Editor and Director B. Lenin and will be highly practical oriented. The emphasis will be on storytelling through fine editing, to help the students become efficient Digital Film Editors. Students passing out of the Academy after two semesters shall get a Diploma Certificate from BOFTA. Both the semester examinations shall be conducted by the BOFTA team with the help of external examiners and the students must pass them all to be eligible for the Diploma. The curriculum has been developed and ratified by the Masters of the respective courses, with latest trends in these fields in mind, laying more emphasis on practical learning. The curriculum outlined here is only an indication of the range of subjects offered and is not a detailed one. The rationale is that the curriculum has to be dynamic and in-sync with the ever-changing trends of the industry and the knowledge imparted to the students has to be relevant to the requirements of the industry. What is aimed at is a smooth transition from classroom education to rough and tumble of the real Film world. This is the goal of BOFTA! Courses will be conducted in Tamil and English. Students should be proficient in writing at least one language out of these two. Course material will be in Tamil and English, depending on the student's proficiency in reading. The Academy expects students to come neatly dressed to the classes. BOFTA T' Shirt, which is sold at a reasonable price to students, must be worn on all week-ends and special days. The Cinematography students will be required to buy an appropriate hand-held digital movie camera for shooting various films. The students have to buy a laptop with the configuration, capacity, software and storage capacity required for the study, storing the study materials and film content. The examinations will be in Tamil and English twice during the year. For those who cannot write in Tamil, writing in English will be permitted. All students will be given a Library card to access and borrow non-Reference Books. Students will be provided with complete course curriculum and materials by the Academy on commencement of each semester. The in-house library shall have the reference books mentioned in the curriculum for students' use. Recommended books need to be bought by the students for further reading. All the regular and week-end courses commence in July of every year with an orientation program. Regular classes are held from first week of August. The Convocation is held every year on 5th September to commemorate with the Teacher's Day celebrations.